£5 off your MOT when booked through the website. 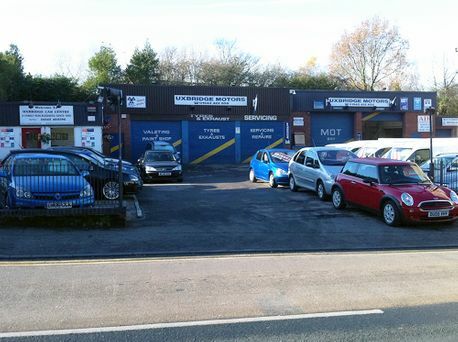 Welcome to Uxbridge Garage Ltd, your one stop MOT Test Centre in Cannock. Here at Uxbridge Garage Ltd we’re dedicated to providing the very best service possible when it comes to your vehicle. With over 25 years’ worth of experience, we’ve served the local community with a range of different services. From general servicing and maintenance to more in-depth jobs such as engine rebuilds, clutch repair, gearbox repair and welding, you can find it all under one roof. Air Conditioning Recharge is available as part of a more specialised service we provide. We even offer a ‘while you wait’ diagnostics service that utilises high quality equipment, guaranteeing your issue is identified and fixed quickly and efficiently. When it comes to your MOT we specialise in a complete and thorough service, providing MOT’s for both cars and bikes covering test classes 1, 2 and 4 respectively. We aim to match any like for like quote that we're given in writing and our prices for class 4 and class 1 and 2 MOTs are competitive. We even ensure there's no retest fee if the vehicle has been repaired on site. We’re dedicated to providing prompt appointments that adhere to a strict point check system, ensuring nothing is missed and you leave satisfied. Our team is made up of experienced mechanics that rely on delivering high quality, honest work. We can work on a wide range of makes and models from the classes mentioned above. All of the parts and equipment that we use are high quality, chosen to match the excellent standard of work that we can provide. If you’re looking for vehicle repair, vehicle servicing or need an MOT Test Centre you can trust, Uxbridge Garage Ltd in Hednesford is ready to help. Why Choose Uxbridge Garage Ltd? Excellent service. Friendly, genuine and definitely will not charge you too much. They brought my XK8 back to life. HIGHLY RECOMMENDED. Fantastic first class service. Fast and reliable. Cheers Guys.